One of the unique twists we are taking on the NYE concept is a local beer, wine and cider Social Toast instead of a typical midnight champagne toast. Each guest receives a Social Toast drink ticket can be redeemed at any time during the night and is to be used to have a drink with a “stranger”, or someone you did not know before that night. Building relationships is one of the keys to RVA’s success as a community and we want to emphasize that going into the new year. 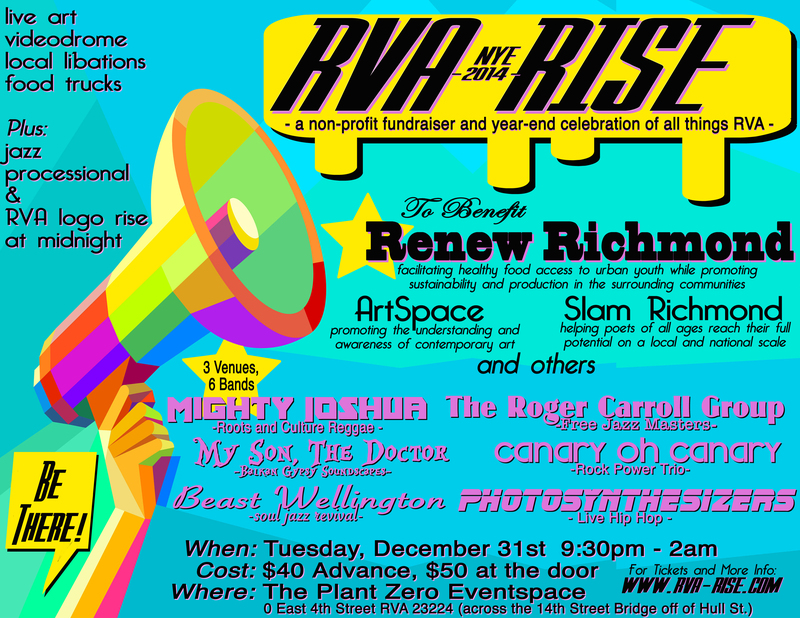 Come celebrate the beginning of a great year for RVA while supporting some of the best non-profit organizations in the city!